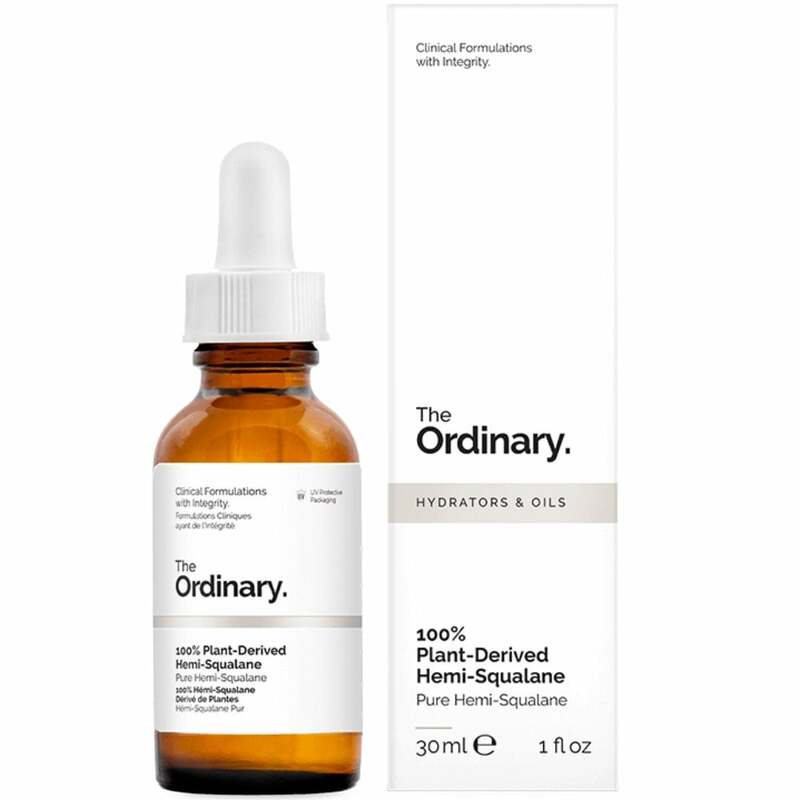 The Ordinary 100% Plant-Derived Hemi-Squalane (30ml) is a non-comedogenic treatment which preserves hydration in the skin, boosting skin elasticity and suppleness. Its low viscosity ensures ease of coverage and gives it a weightless, dry finish which makes it the perfect solution for hair frizziness. Cruelty-free and vegan-friendly, this formulation is free from water, alcohol, silicone, nut and gluten. Skin treatment: apply a few drops over the entire face once daily or as required. Hair treatment: work a few drops through towel-dried, clean hair daily.